Uniquely appointed for ultimate relaxation, the Cassville Collection will provide your living room with a comfortable place to spend your downtime. Dark brown bi-cast vinyl covers the plush seating of this reclining chair. This collection offers a sofa with a drop down back center console and dual reclining ends. 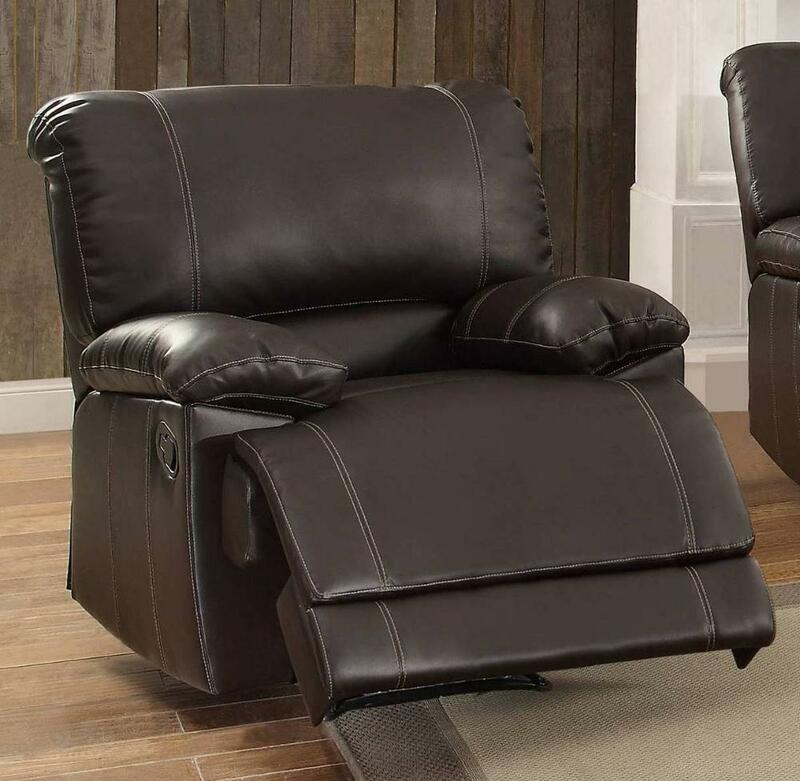 FEATURES: Dark Brown Color ~ Contemporary Style ~ Manual Recliner ~ Plush Seating ~ Bi-Cast Vinyl Cover ~ Stitched Lines Accents.